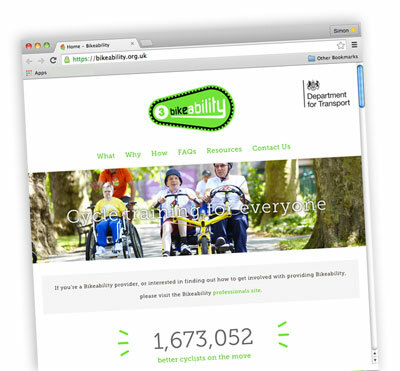 The DfT has launched a new-look Bikeability website in order to make it easier for people to find out about the scheme and the course providers in their local area including Essex, Southend-on-Sea and Thurrock. There is also a separate new Bikeablity professionals’ site for current providers, and others interested in finding out how to get involved with providing Bikeability. Bikeability is described on the website as ‘today’s cycle training programme – like cycling proficiency, but better’. There are three Bikeability levels – Levels 1, 2 and 3 – to take trainees from the basics of balance and control, through to planning and making an independent journey on busier roads. Professional Bikeability providers deliver on road and off road training to groups in schools, through clubs, to families or individually to children, adults, new learners and experienced cyclists. The new site also include resources for use in the classroom or at home, including a range of cycling-themed discussions, creative ideas and lesson plans, designed to make children passionate about cycling and its benefits.